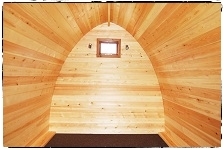 Inside the PodsCheck out the interior of the Pods! 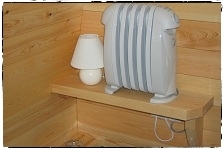 Low Energy Oil filled Heater, Lamp & double plug Socket in Pod ‘Beag’. 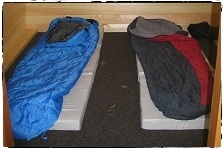 Basic Sleeping Bag & Mattress layout for two Adults in Standard Pod ‘Beag’. 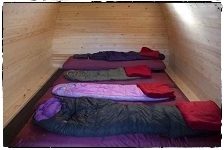 Two fold out bunk beds in Standard Pod ‘Beag’. 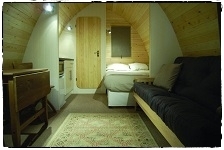 ‘Glamping’ it up in Standard Pod ‘Beag’. 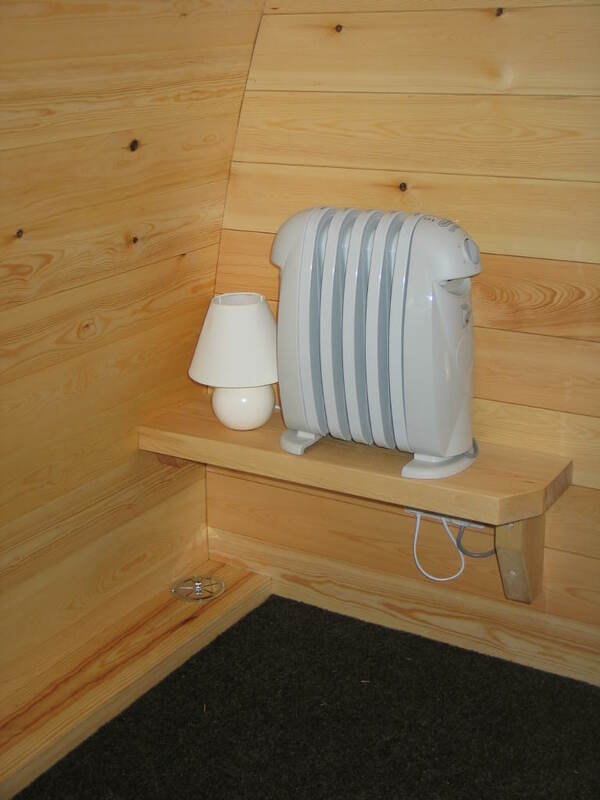 A Touch of Luxury in standard Pod - Via Claudia, Bayern, Germany. 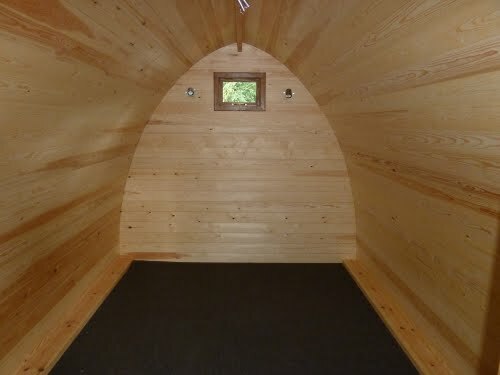 An Empty Pod ‘Teaghlach’ - Our Family Pod. 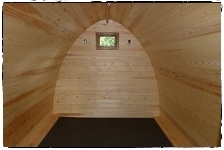 Empty Shell - Pod ‘Teaghlach’ our family Pod. 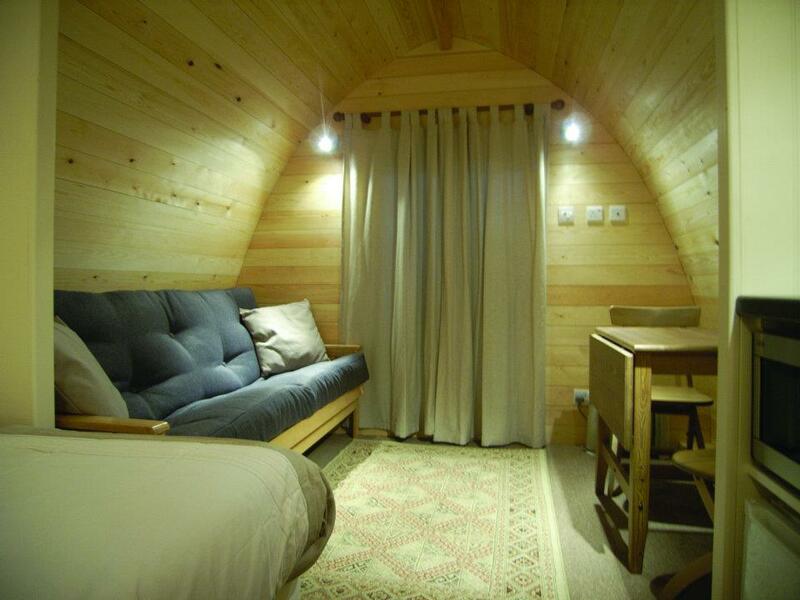 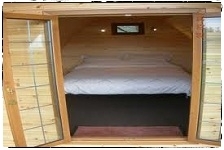 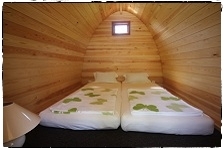 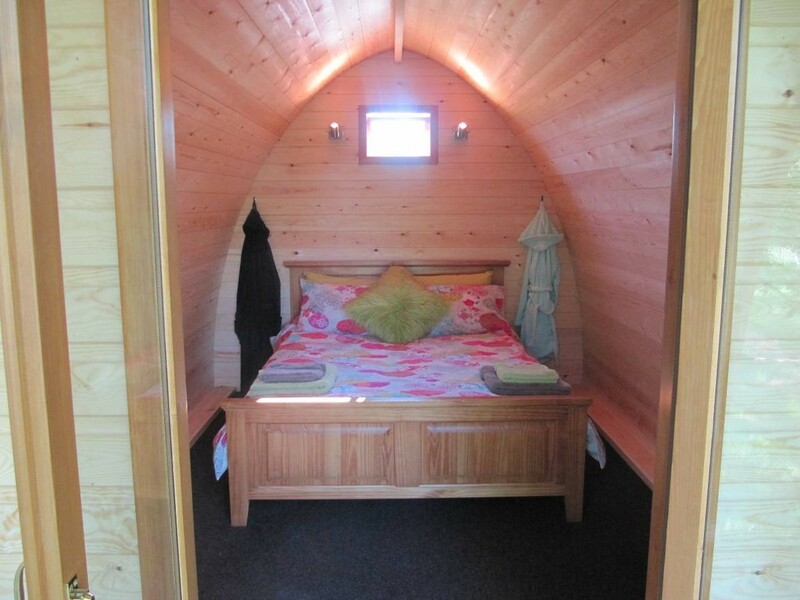 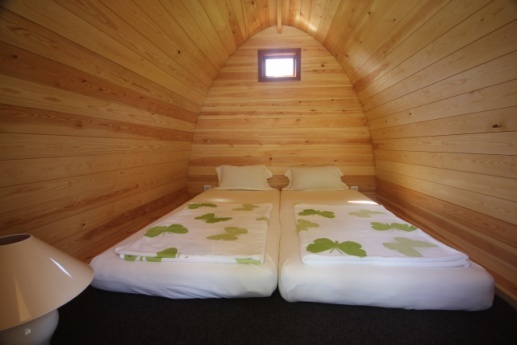 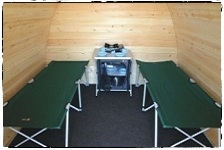 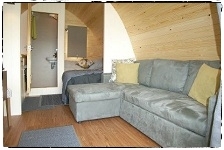 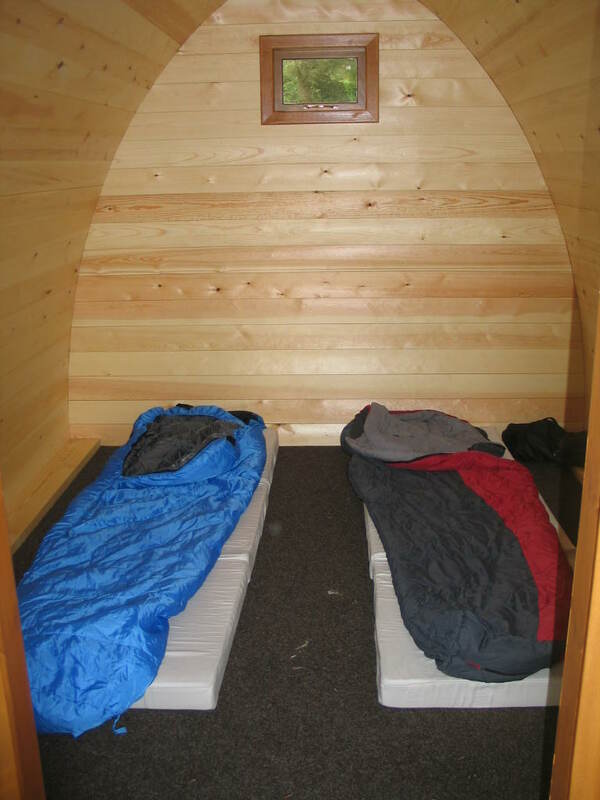 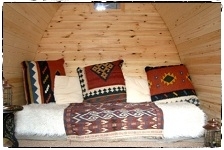 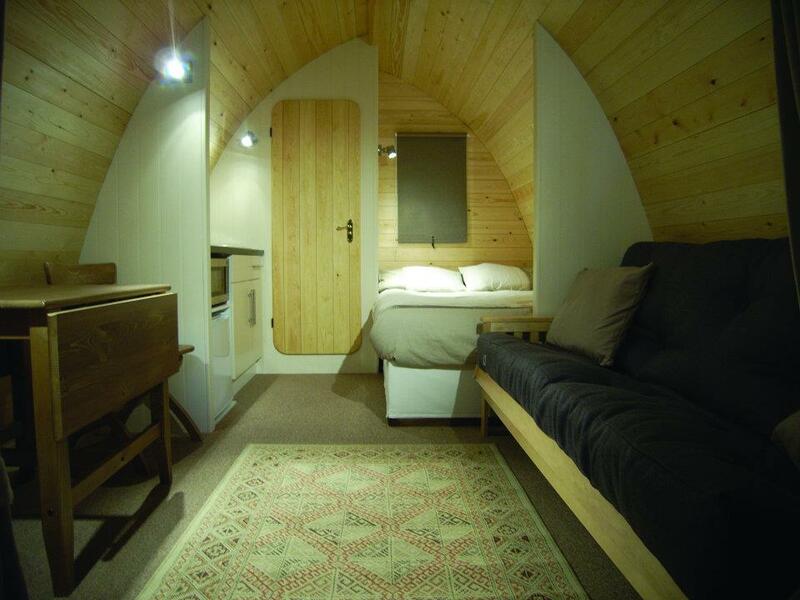 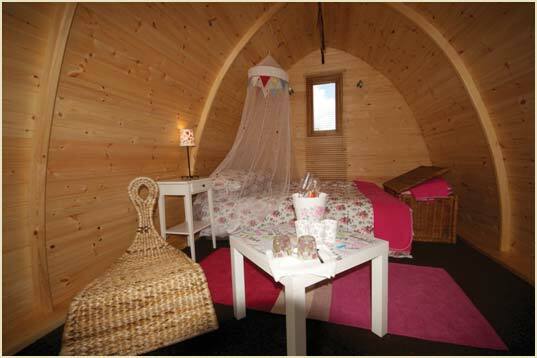 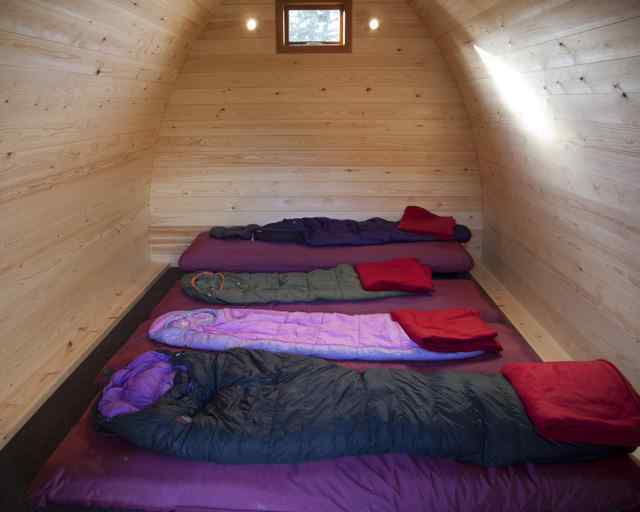 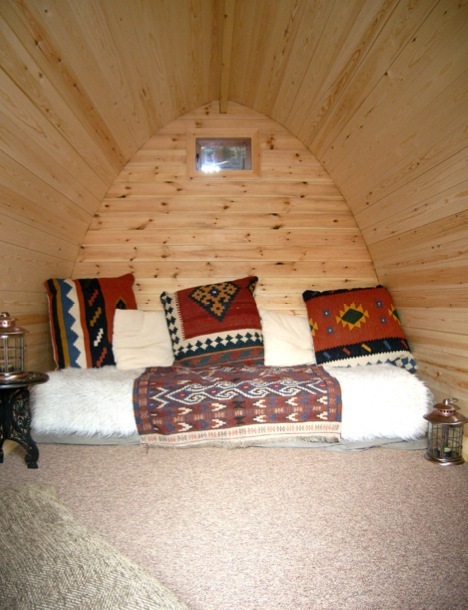 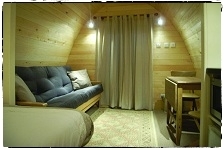 Tuffie’ Beds in Family Pod – Ecocamp Glenshee, Perthshire. 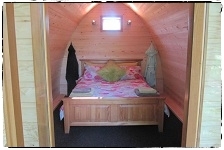 Double Bed in Pod Teaghlach - Family Pod. Double Bed in Family Pod. 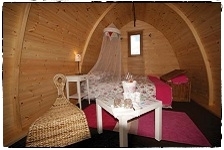 Glamorous camping in our largest Pod ‘Ullmhór’ - Beirnes of Battlebridge, Co.Leitrim. 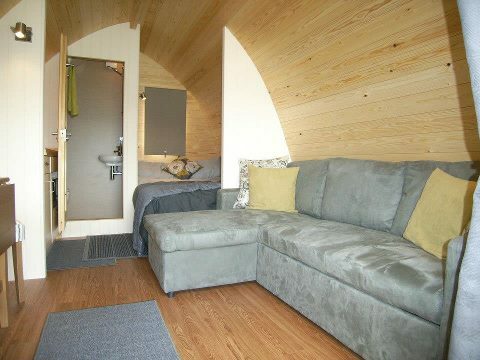 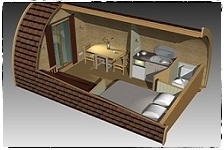 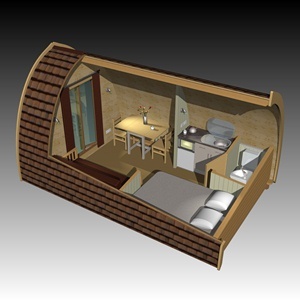 Fully fitted pod ‘Ullmhór’ with double bed, mini-kitchen, sofa-bed, table & chairs and a washroom with W.C.
Cut out drawing of Fully fitted pod ‘Ullmhór’. 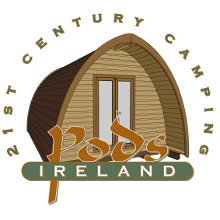 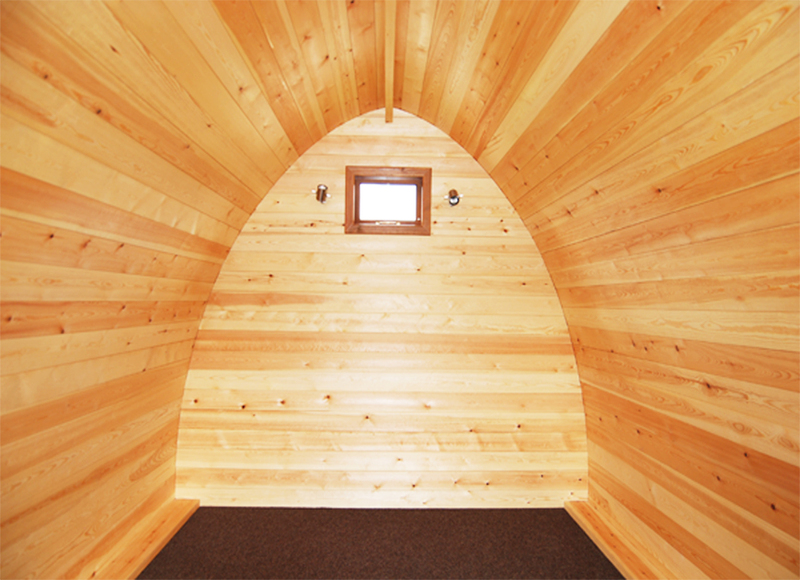 A longer version of Pod ‘Ullmhór with similar fittings and an integrated wet room with shower.